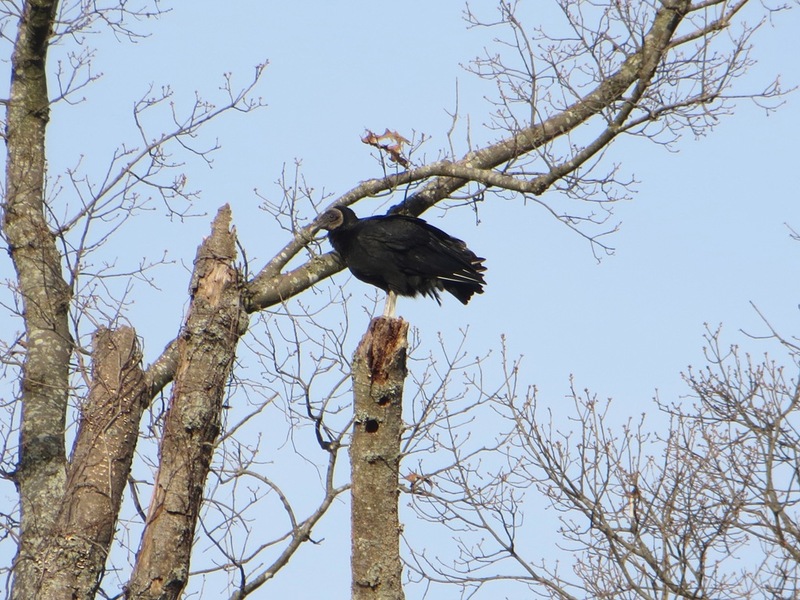 The American Black Vulture is a little more dapper than his fellow scavenger, the Turkey Vulture, sporting glossy black feathers and a gray neck and head. 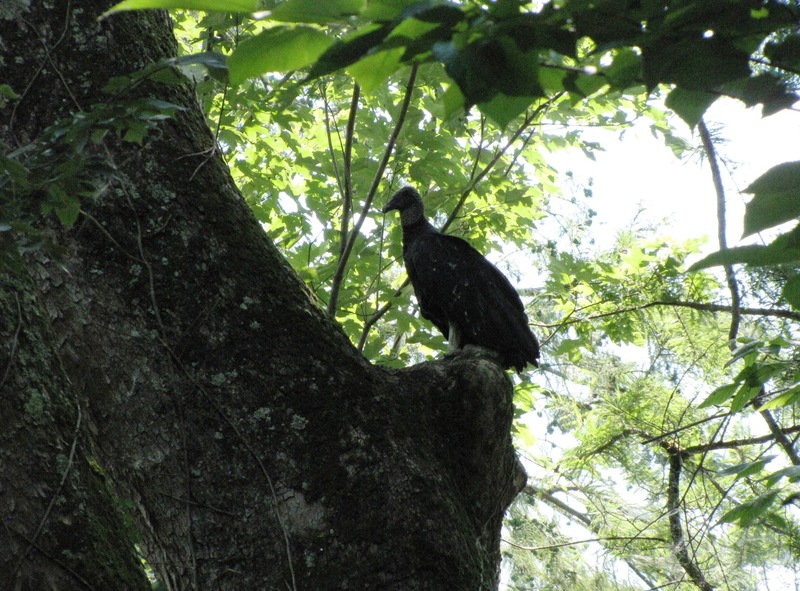 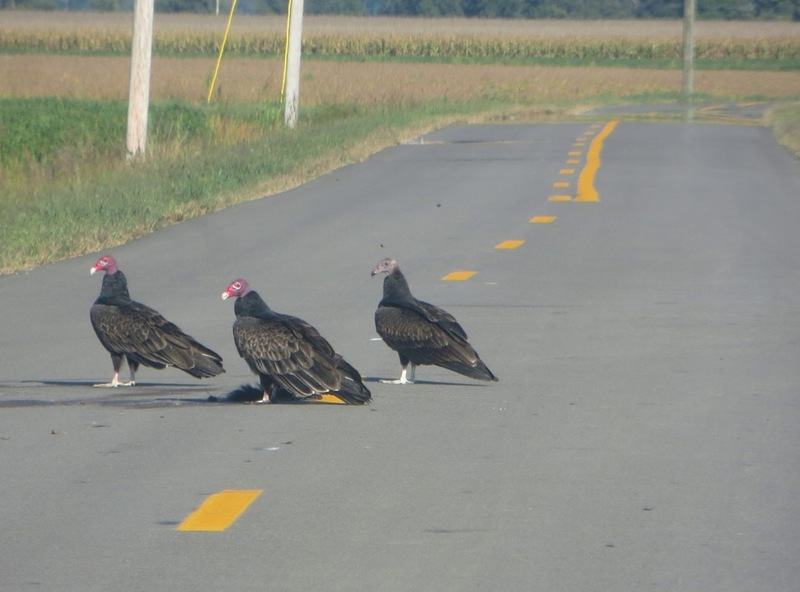 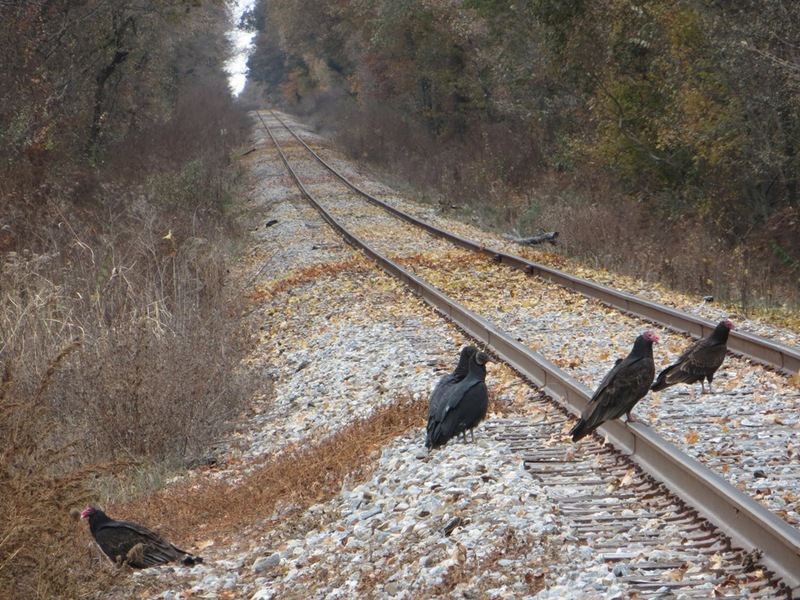 The Black Vulture is also said to be more social and prone to maintaining family ties. 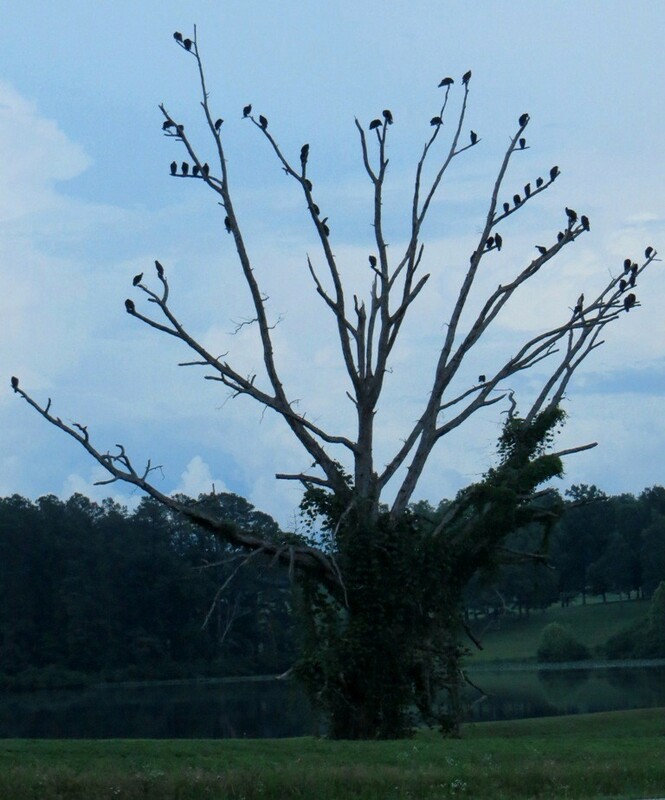 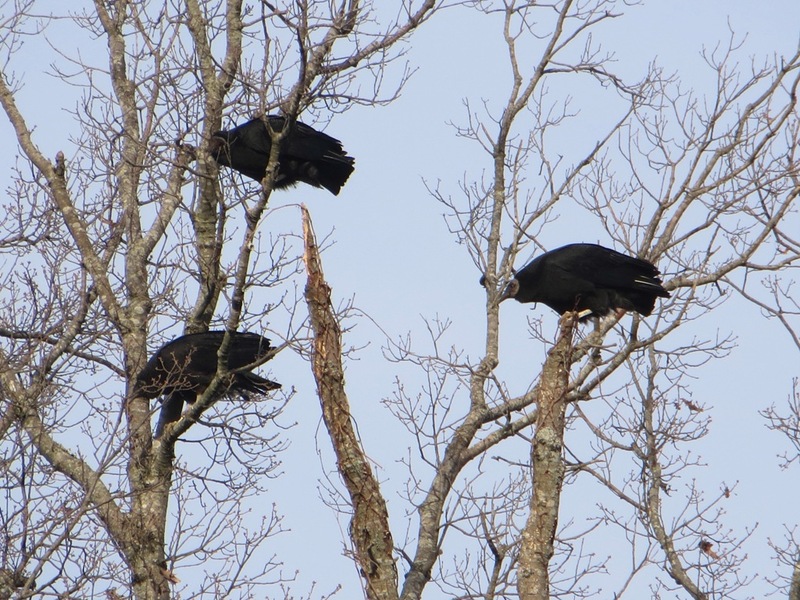 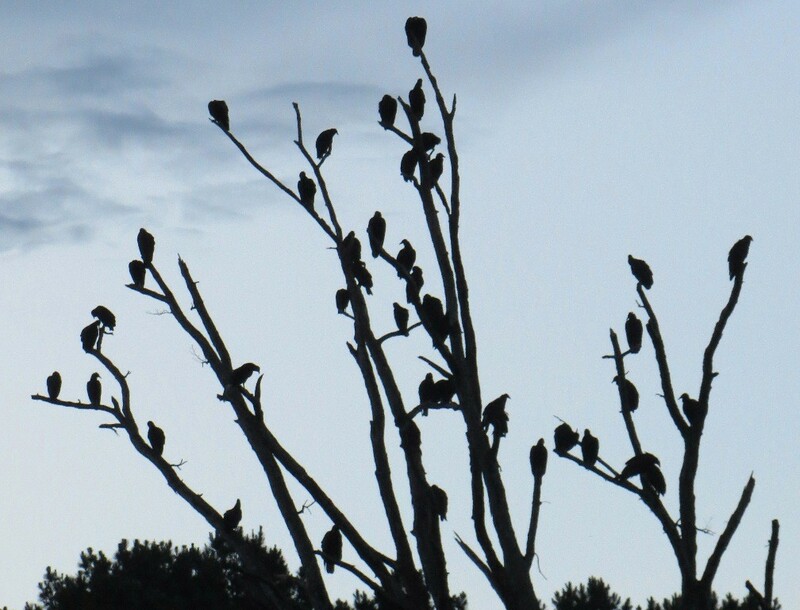 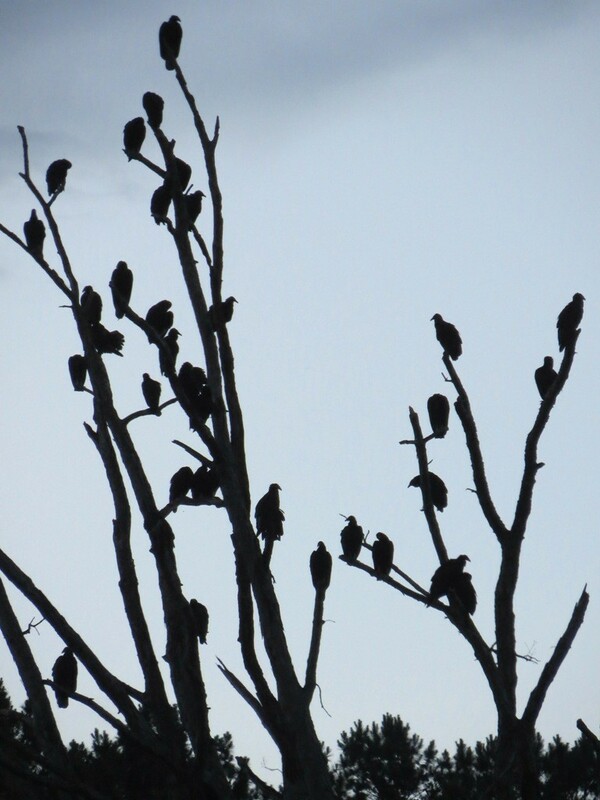 We spotted these as they were taking in the view from the top of a tree at the Reelfoot National Wildlife Refuge. 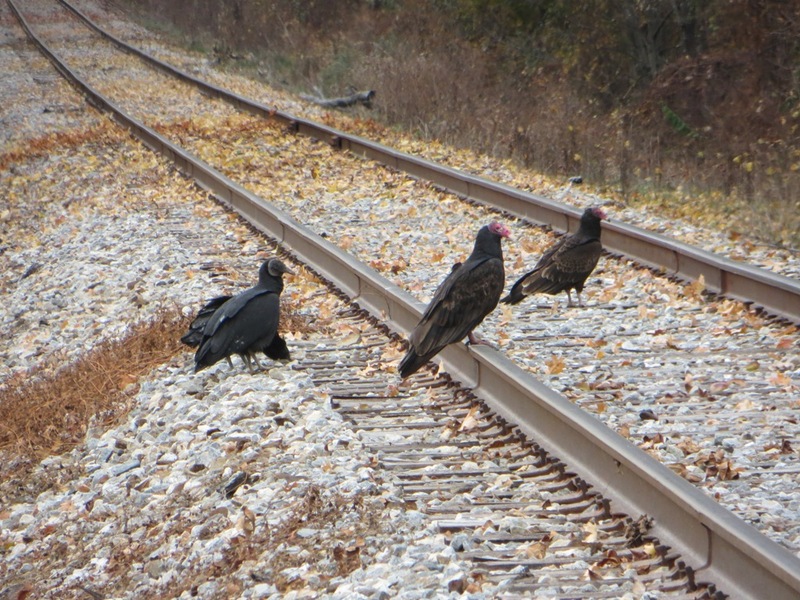 Vultures are fascinating birds. 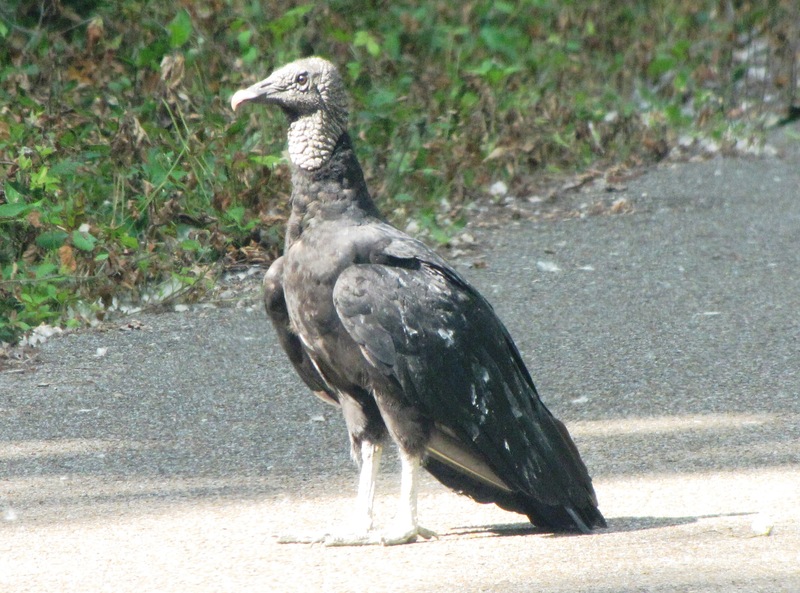 On the ground, their wrinkled, featherless heads, grayish white legs and large, flat feet give them quite an awkward and uncomely appearance. 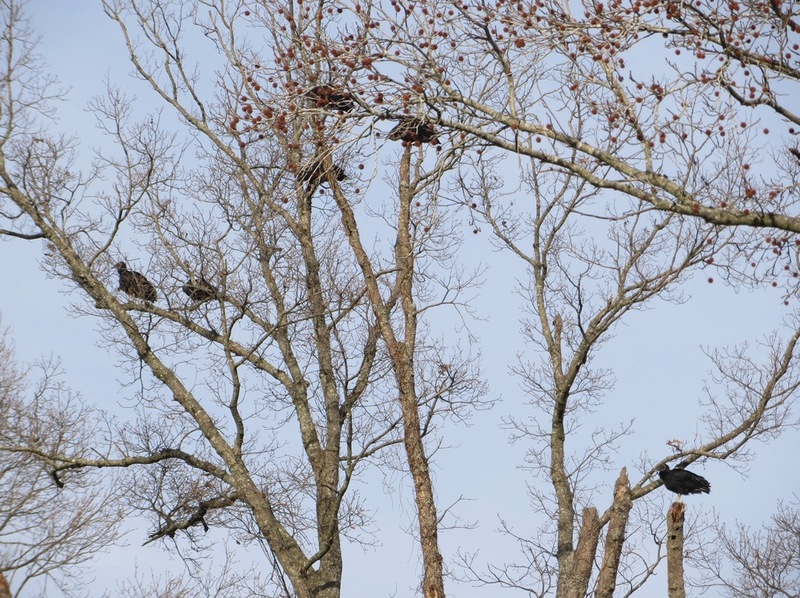 But in the air, they are absolutely stunning birds as they circle majestically over the farm fields, riding the thermals and looking for food. 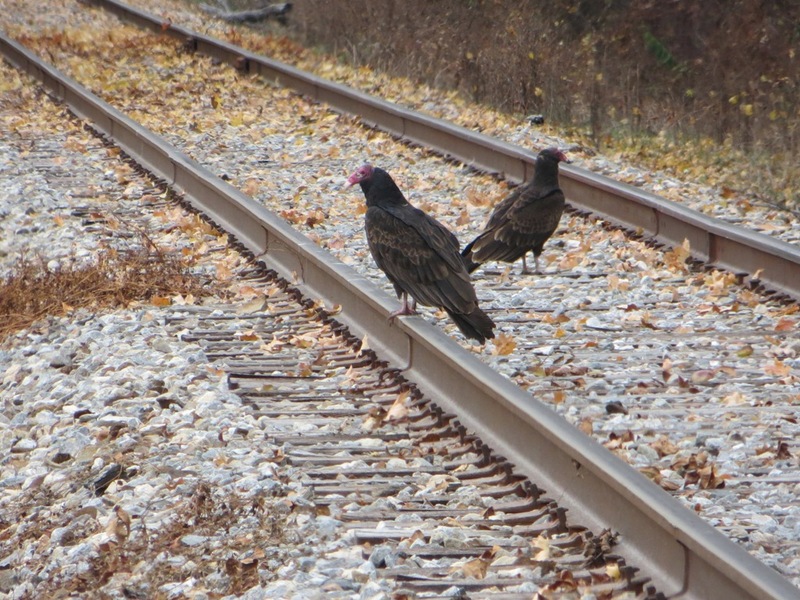 They soar and glide with elegance and style. 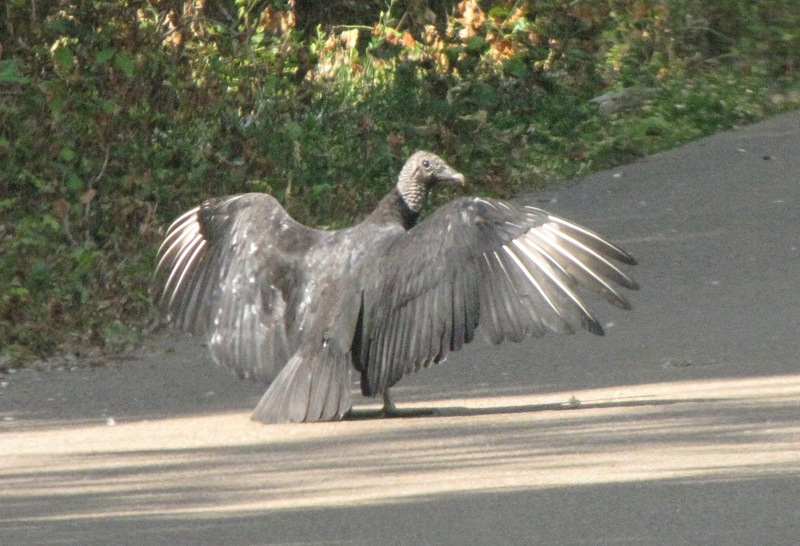 It’s hard to reconcile the fact that such an inelegant looking bird on the ground could look so graceful in the air.